The philosophic science of right has as its object the idea of right, i.e., the conception of right and the realisation of the conception. In order to gain a proper perspective of Hegel’s place in the history of philosophy, it might be useful to focus on one key concept which has evolved significantly in meaning, from the time of Hegel. Marx and Hegel’s Philosophy of Right In the famous preface to A Contribution to the Critique of Political Economy, Marx notes that the first task he undertook was a critical reexamination of Hegel’s Philosophy of Right. Hence it will be useful to say something about; I believe that Marx’s theories, including his theory of modern industrial society, should be regarded as his own considered reaction to Hegel’s theory of the political formation brought into existence by the industrial revolution, which led to modern capitalism. It will be appropriate, as a way into Marx’s theories to summarize some main aspects of Hegel’s treatise. 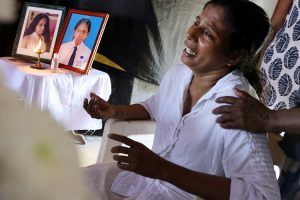 This will allow showing that Marx’s own theory of capitalism arises on the basis of his extension of certain Hegelian themes in the Philosophy of Right. 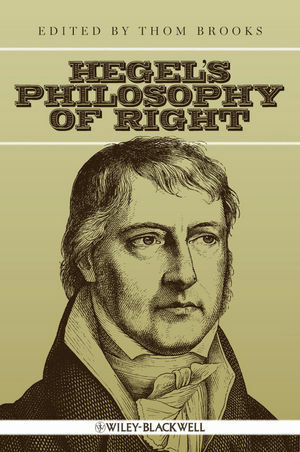 Hegel is the author of only four books: the Phenomenology of Spirit (1807), the Science of Logic (1812, 1816), the Encyclopedia of the Philosophical Sciences (1817, 1827, 1831), and the Philosophy of Right (1821). Marx in his early years was a member of the “Young Hegelian” movement, and retained a respect and admiration for Hegel throughout his career. In fact, as an old man he confided to a friend that he had always wanted to write a book explaining the philosophy of Hegel to the common man in simple language. The Phenomenology, which is Hegel’s first and perhaps greatest book, and which presents both the introduction and the first part of the system, contains what he calls the science of the experience of consciousness. The Logic, like the Phenomenology, is a very dark work. It is concerned, not with the old Aristotelian logic which so impressed Immanuel Kant that he considered it a closed topic, nor with the new mathematical logic which arose in the late nineteenth century in the writings of the German philosopher Gottlob Frege (1848–1925) and his colleagues. Rather, it is concerned with what Hegel calls the conscious concept for which there is no distinction between concept and content. The Encyclopedia, which is often regarded as the official source of the well-known system of philosophy, is no more than a collection of different assertions which taken together provide indications of the shape of the system but not the system itself. In other words, Hegel is interested here in the extent to which, through a system of right, through the existence of the modern state, the realm of freedom of which Kant dreamed in his idea of the kingdom of ends has in fact been realized, or in Hegelian language the degree to which the world of mind has been brought forth out of itself like a second nature. The moments of Hegel’s treatise are keyed to the logical moments of the development of the absolutely free will as immediate in the form of abstract or formal right, then as subjective individuality featuring the idea of morality which stands over and opposes the community, and finally in ethical life where the social good is not only apprehended but also realized on the three levels of the family, civil society, and the state. It is central to Hegel’s vision that social good cannot be realized through abstract morality and can only be realized in concrete fashion in the diverse institutions characterizing the modern state. What is rational is real; And what is real is rational. I Pravat Ranjan Sethi completed my studies from Centre for Historical Studies, JNU, New Delhi, at present teaching at Amity University, Jaipur. My area of interest is Modern History especially Nationalism, Political History, Critical Theory and Gender Studies.